I think the less said about Monday's weather the better, don't you? Like many of my fellow participants in #30DaysWild we found ourselves faced with a day of near continuous, heavy rainfall. What's more we were still in Leeds which meant we had a six hour drive ahead of us but, not wanting to fail at the first sign of trouble, we resolved to squeeze in our daily dose of wild whatever it took. 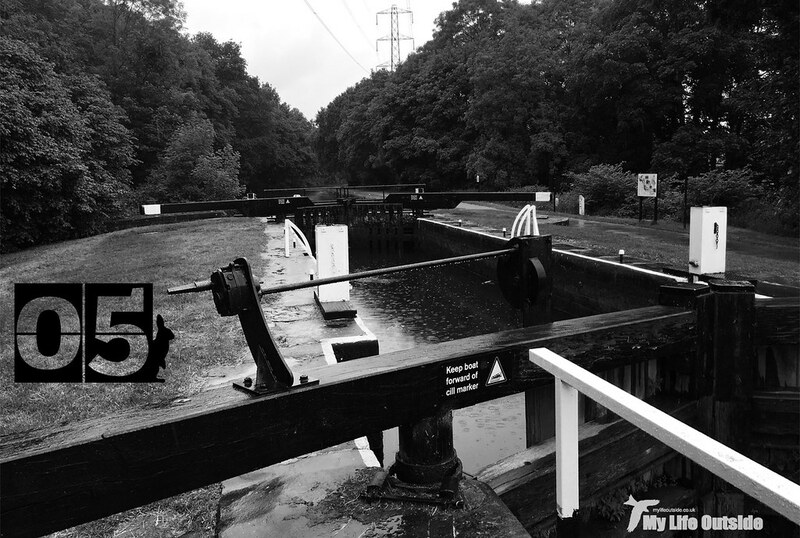 So it was that we found ourselves walking alongside the Leeds and Liverpool canal in full waterproofs wondering if we weren't just a little bit mad. In truth we've known the answer to that question for a long time now and thoroughly enjoyed our wander. I mean, who wouldn't appreciate having a tree dump what felt like gallons of cold water down your neck just after having removed your hood in a fit of blind optimism that conditions looked to be improving. Even the Mallards looked thoroughly fed up with proceedings but things were a little more lively in nearby woodland. Sheltering from the worst we found a couple of Starlings and one lone Bullfinch before a cacophony of alarm calls caused us to pause. Above us a Jay was hopping through the branches in hot pursuit of a recently fledged family of Nuthatches, the source of all that commotion. Now corvids eating young chicks is nothing new but this was the first time I'd actually witnessed the event in progress. Thankfully it looked like the Nuthatches were just about managing to keep out of harms way but with a Crow also in attendance I'm not sure for how much longer they could keep it up. Fingers crossed they all made it to safety.